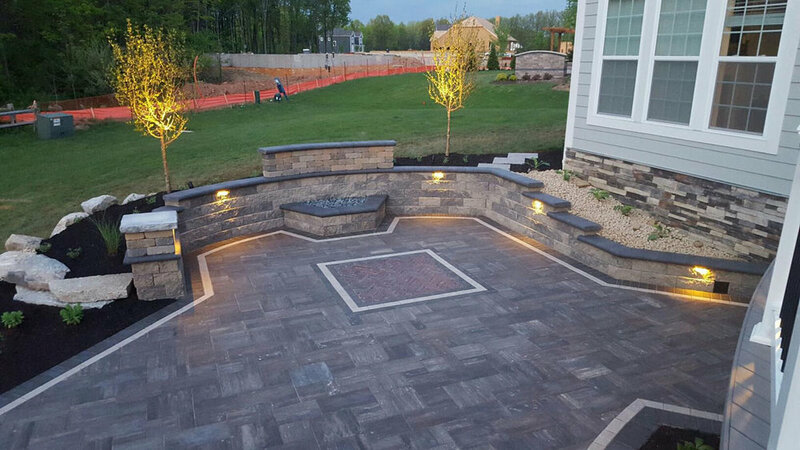 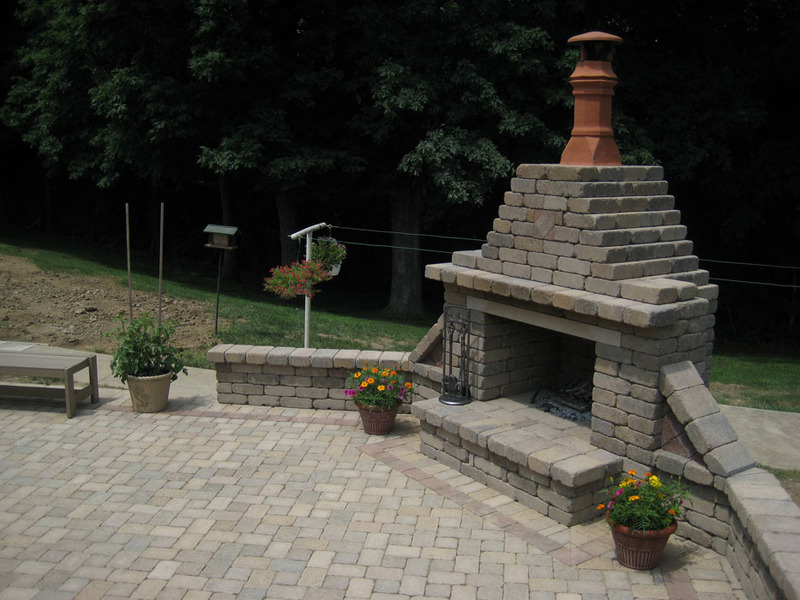 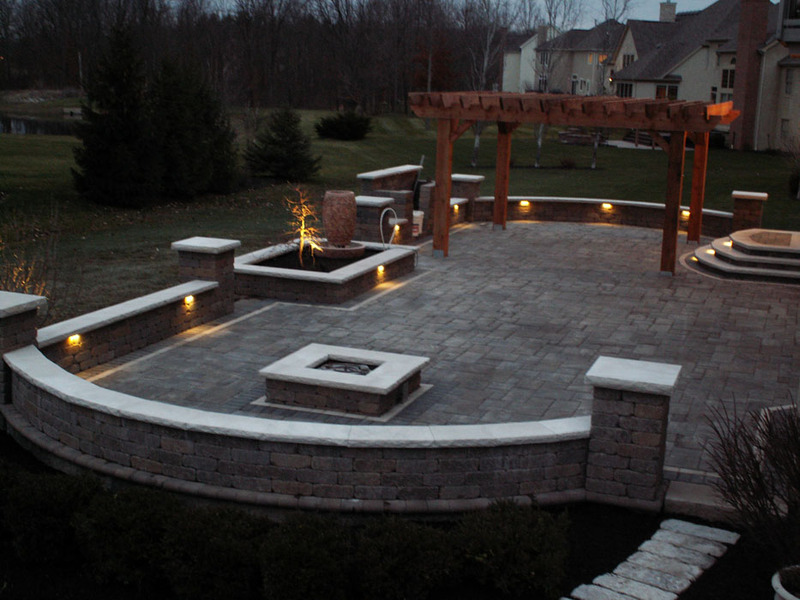 Fire Pits & Fire Places are custom designed to fit your needs. 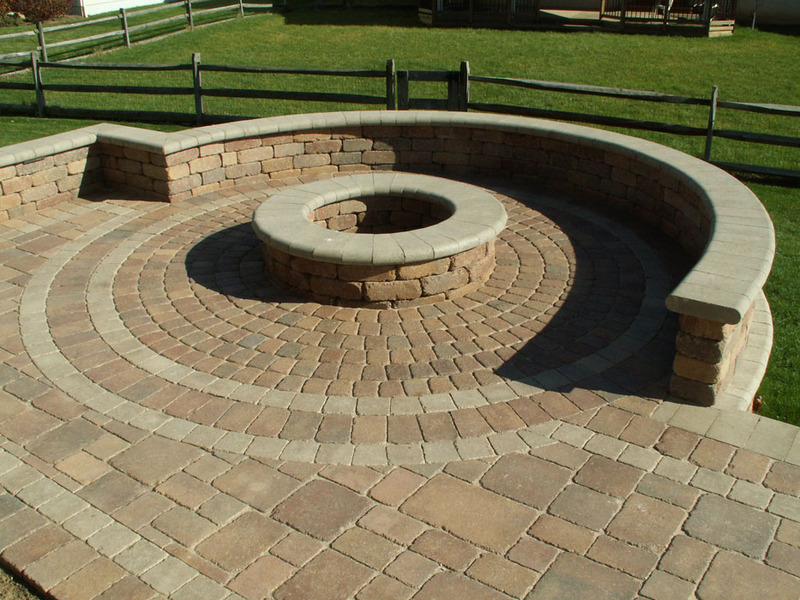 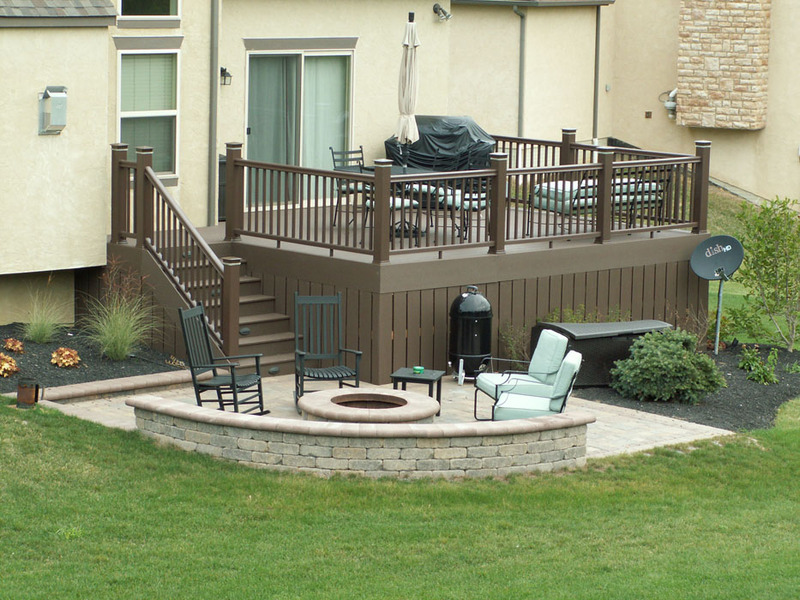 Most commonly a four foot stone fire pit can be installed on or near your patio. 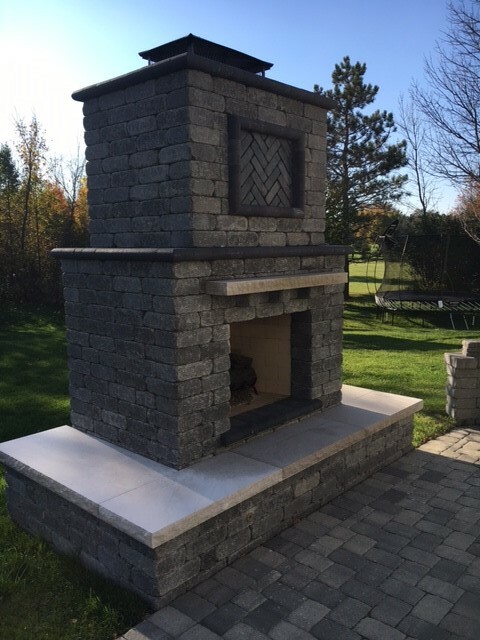 We also custom build full size Fire Place units with hearth, mantle & wood storage units. 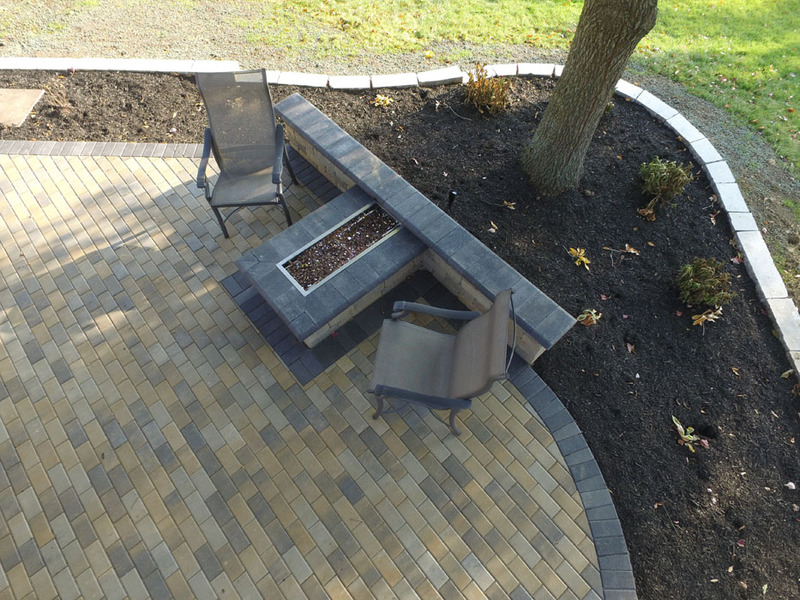 Trapezoid Style Wood Burning Fire Pit with a High Back Wall. 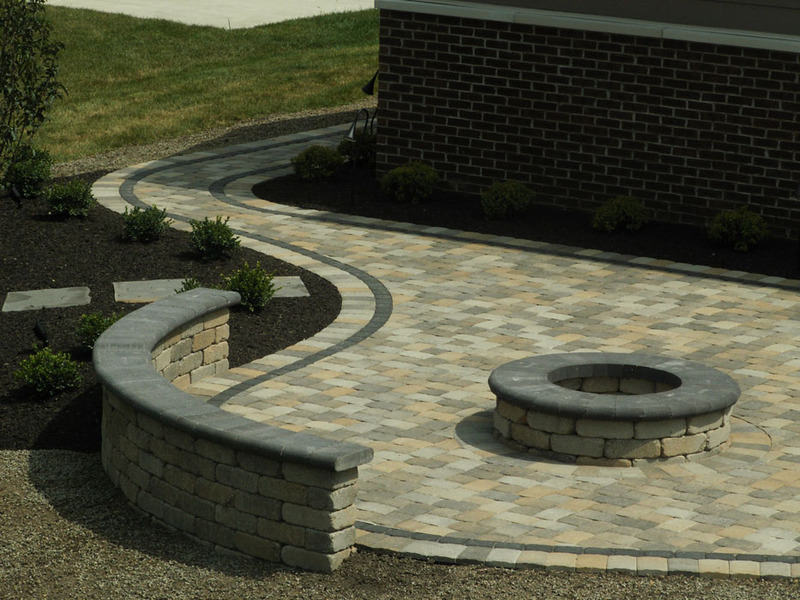 Oberfields Edington wall stone with Bullnose coping.